What's your point? You actually don't need proning or crouching neither, should these options be disabled? Last edited by Dragonathan on Sat Jul 31, 2010 3:51 am, edited 1 time in total. Btw I can jump, can you? Last edited by Eqpe on Sat Jul 31, 2010 1:43 am, edited 1 time in total. I also think that functional tactical realism does not solely depent on slower movement speeds, at least, I am still missing the convincing argument. Probably only play testing can tell. realism has nothing to do with slowering moves .... remember how the 0.49 was slow and annoying, the 0.49b went with a better balance. i also find quiete funny to see some dudes spaming in there while you never see them on the servers. btw i can point my middle finger, can you? Last edited by Dragonathan on Sat Jul 31, 2010 4:43 am, edited 1 time in total. It doesn't change the TR? . And as said jumping enables new ways of attacking certain locations as well as it will help you to defend some locations. We got to remember that those training for CQC doesn't know how how it will look where they will attack. We do know how all the maps will look and jumping is therefore so much needed when making tactics. I like being able to jump, in TCE jumps are used closing little distance faster, and acces some spots you wouldnt be able to walk on (and im not talking about trickjumping wich i dont like cause its too much), also jumping takes stamina so you cant jump eternally. I like the freclimb ability and also frreclimb+jump to acces some fences or big boxes. this gives the game more places where an enemy can be thus making it more fun cause it wont necessarily be always tha damm same spot. you (refering to jump haters in general) havent talked about freeclimb ability at all, you would like to be removed also? 3D positions vs 2D positions? Perhaps Coroner, g_realism 1 would be better served if it were discussed in a venue where Fans of the Tactical Realism genre wouldn't feel like they're drowning in a 4CHAN signal-to-noise and trolling, where you can better evaluate the level of real TR Fan interst, and where posts have to be on-topic and constructive? 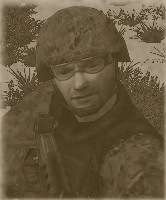 Perhaps a g_realism 1 exclusive thread on the Tactical Gamer Forums, where it will stay g_realism 1 exclusive, and its enormous Membership will I guarantee favorably and constructively discuss how g_realism 1) might best be implemented for the broadest appeal to the Tactical Realism Audience? I'll glady start a thread there, quoting and linking your mod announcement blog and content here on TrueCombat.us, soliciting input from Tactical Realism Fans on g_realism 1 only -- if that's welcome Coroner? If you are going to start a discussion and spread the word, then why do you need his permission? IMO your previous post was just a passive aggressive way to insult this community, and I've already had a lot of complaints about your behaviour on this board. Also, considering all the flamewars that have happened in the past 2 months, you were somehow connected to roughly 80% of them. Regardless if you like/dislike the people and their views here, it's not acceptable to constantly try to belittle them and attempt to make yourself seem "superior" by addressing coroner personally in a way as if your views were the only important ones on the forum. I don't care if you agree or not, but with that attitude, you are not welcome on this forum. I'm not banning you, but consider this a warning. And the only reason I am posting this publicly is because the same warning applies to some of the other spammers (you know who you are). IMO your previous post was just a passive aggressive way to insult this community, and I've already had a lot of complaints about your behaviour on this board. Diane, you're over reacting, I have not 'insulted' anyone, there are two individuals, (you know who they are) that stalk and troll every post I make here, and on over a dozen other forums as well -- I'm sure they're thrilled you tolerate them no less indulge them. Also, considering all the flamewars that have happened in the past 2 months, you were somehow connected to roughly 80% of them. If threads aren't moderated; and off topic, troll posts aren't moved any thread of significant discussion, or real and relevant constructive argument gets buried in swill -- that's just a fact. Pointing this out politely, constructively, and then forcefully makes no difference to you or anyone posting here, so, why should different rules then the TOU I authored and let you use (that you don't even enforce), apply to me and no one else? Just do it now Diane... You don't read or moderate what you're responding to for meaning, care about content or intention -- but apparently for some pet agenda no one but you and a few freinds in this forum 'clique' understand. Whatever I have to offer here is apparnetly not understood, appreciated or both -- and you're anxious to give your two pets what they've been working so hard to achieve -- just do it, give it to them, make them happy, ban me. Last edited by hoak on Sun Aug 01, 2010 1:04 pm, edited 1 time in total. Hoak, you just proved my previous point. Just relax and try not to be so defensive. That's all I ask! Please! I don't want to get into a quoting war with you and spoil this thread. That wasn't my intention. I just want you to relax and behave and stop being so confrontational/aggressive to the point where you egg other people on. you (refering to jump haters in general) havent talked about freeclimb ability at all, you would like to be removed also? 3D positions vs 2D positions? why are you comparing jumping with free climbing?, those two are different, and what doe you mean with 2D 3D positions?